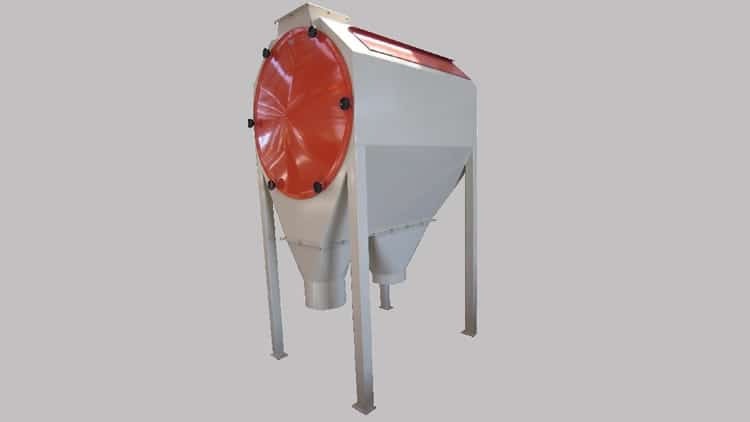 CPLG horizontal drum screen is used for separation sifting of coarser particles than the product flowing from it. It has in its interior a brush that keeps clean the perforations of the machine. It can be supplied with a leg extension and hoppers in case the machine cannot be placed on a deposit or silo. We also supply dry product packaging machines and big bag fillers, as well as complete systems for dust extraction, aspiration and air filtration. Low-pressure fans and HDF bag filters are the most important products in this sector.